As Rangers Captain pulled the small box from under the tree, he knew it didn’t contain a bicycle. While he started to unwrap it, his friends from the Arlington City Council explained their gift. 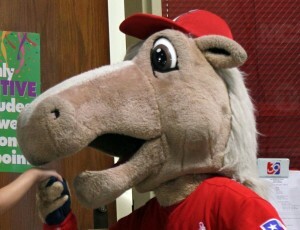 The palomino opened the box and saw the familiar faces of multiple Ben Franklins staring at him. He looked back at his friends from the council. The City Council unanimously approved the agreement last Tuesday evening following a short presentation by City Manager Trey Yelverton. The council needed only a cursory presentation at that meeting because they had seen a longer one earlier in the day at their executive session. One expects Santa and his key elves also have executive sessions to make the tough decisions about who gets sugar plums, American Girl dolls, and entertainment complexes, versus who gets coal. They elfishly discuss weighty issues like whether getting an infraction card from your French teacher outweighs your otherwise passing citizenship marks (it didn’t when I was 11, thank goodness) or the odds of Ralphie using a new BB gun to shoot his eye out. No outsiders attend Santa’s meetings because direct flights to the North Pole are difficult to come by. They don’t attend Arlington executive sessions because the council can legally close them to discuss matters like economic development negotiations. In both cases, the stakes are high. Tantrums can result from a child finding the wrong action figure under the tree, and $50 million, well, that’ll buy a lot of action figures. So we want to know that a robust debate has occurred during these confabs. If Santa wants to bring Jack his new football even though the brat made his little sister cry twice in October and again in November, we’d like to think that an elf will push St. Nick to justify the decision before they tromp back to the workshop to start stitching pigskin. How about the council? Did they ask the right questions to justify their largesse, either at the December 15 executive session or three briefing sessions that preceded it? It is possible they did ask those questions, received satisfactory answers, and have thus wisely invested their constituents’ funds and earned a spot on the nice list. While we don’t know what queries they may have posed, we can consider which ones might have seemed wise to ask the city staff who prepared the agreement. 1. Was there any way to get this development done by spending less than $50 million? The agreement reads that “but for the Program and the payment of the Grant to ABDEB, Developer would not develop the Entertainment Complex Project as same would not likely be economically viable.” A council member would definitely want to drill down into the numbers and figure exactly the point at which it would become financially viable for the current developer or another one to put a project like this together. Is it $50 million plus additional incentives? Or could it have been less? Would they have taken a sawbuck and a fruitcake? 2. Could we have done this a different way than through the expenditure of city funds? Did the council consider every possible avenue other than subsidies? Did they think outside the box? Could they have just sold off the convention center to a hotel magnate? Could they have lobbied the state to allow the city to float a casino on Mark Holtz Lake? They’ve been exploring ballpark land improvements since 1991 or so. Hopefully in that time they considered every possible method for spurring development in their beloved entertainment district. 3. Are the economic impact studies accurate? How correct are the multipliers? Did they include local residents’ use or just visitors? They don’t just add up total dollars spent and call that economic impact, do they? Are the jobs figures accurate and meaningful? City Manager Yelverton showed a graphic at the December 15 evening session indicating more than $325,000,000 dollars in “Net Benefits for Local Taxing Districts Over the First 30 Years of the Facility Operation.” Did the council look at multiple studies to justify the numbers? Did they compare it to numbers from other cities? What did they see that made them confident they could predict the actions of a volatile marketplace with relative precision? Did whomever operated the Ouija board do it properly? 4. Why hasn’t it gone in before? Many times when an untapped market to sell people things – like hotel rooms, event space, and parking for such – exists, entrepreneurs recognize the opportunity and invest in it. 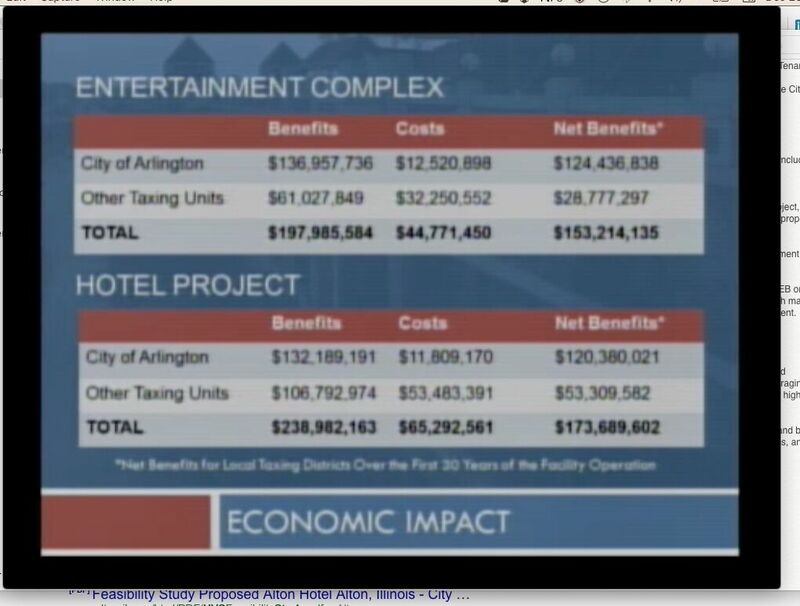 Why has that not happened without city funding in the Arlington entertainment district? Certainly there are a number of underutilized parcels of land near the amusement parks and stadia. Was there city bureaucracy, like restrictive zoning rules or tax structures, that might have prevented someone from building the desired hotel and meeting space on her own dime? Or if nobody in the worldwide marketplace thought there was a viable opportunity for a high-end hotel to succeed commercially, what information did the city have to show they were wrong, that, in fact, customers will fill a high-end hotel and its adjacent spaces? And why weren’t city council members already jumping on the opportunity years ago and investing their own personal monies in it? 5. Do the demographics work? I worked for the Rangers when the team was considering the Glorypark project, a ballpark development plan more ambitious than this one. I wasn’t involved in the club’s strategy work for it, but certainly was interested in how it would come together. 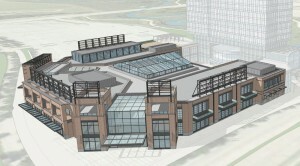 That undertaking, like this one, envisioned upscale retail and dining properties as an important part of the development. A colleague and I sat in her office looking at a map of North Texas income demographics. We looked for the pockets of people with the means to patronize such establishments. We had trouble finding them nearby. For the most part, they didn’t live in Grand Prairie, East Forth Worth, and North Central Arlington. Has that mix changed since then? Or will Texas Live!’s offerings be spectacular enough that Parkies and Southlakers will trek to Arlington for the shopping and dining? Or does research indicate that a lot of well-heeled folks would bring their bling to Arlington if they had the right hotel to stay in? Glorypark didn’t find the right mix, so hopefully the council ensured Texas Live! will. They might also have looked at the demographics of the folks who visit Arlington’s attractions. Do Six Flags attendees yearn for upper-crust dining experiences after they’ve spent a July day riding El Aserradero? Or do they, plus, say, Globe Life Park’s thousands or upper deck fans, prefer the types of fast food and fast casual establishments that already succeed nearby? Did the council have access to psychographic research about what those folks want? 6. What are the opportunity costs? If the $50 million is used for this purpose, it can’t be used for something else. Are there other candidates to receive the money who might have even more productive ideas for it? If you simply rebated the money (which came from levies on energy companies) back to residents in the form of lowered taxes, what growth opportunities might they create with it? What substitution effects might exist, whereby spending in one place is offset by reduced spending elsewhere in the city? 7. Are there hidden costs? Did the economic impact estimates factor in productivity lost to construction detours? If you have a 5,000-seat entertainment center, how much business will it cannibalize from the 7,000-seat College Park Center into which you sunk $18 million? The ballpark has hosted events in Lot A, where the majority of the construction will take place. If those go away, have you factored that loss into the numbers? 8. Are there negative effects on existing Arlington businesses? 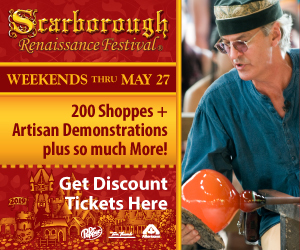 Does a subsidized development allow its occupants to undercut other businesses? If a Cacharel, for instance, has a tenuous grip on its status as a North Arlington luxury dining destination, could a competitor in a ritzy hotel run it out of business? Is that fair? If you expect to drive existing businesses away, will that have been factored into the economic impact calculations? 9. We like going to watch baseball games in our hometown. Could we use this grant as leverage to get the Rangers to extend their lease with us a few more years? That apparently wasn’t part of the deal. Was it discussed? Was a cost-benefit analysis done on how important that might have been? Do the economics still work for 40 years if the Rangers are playing in Fort Worth, Dallas, or Little Elm from 2024 onward? 10. Will this deal discourage anyone else from building a hotel? 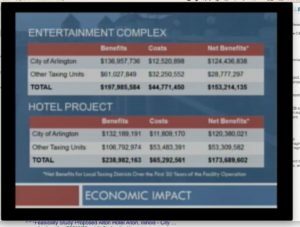 If the Arlington Ballpark District Entertainment Block (the partnership between the Texas Rangers and developer The Cordish Companies) builds the hotel, the city reimburses them for the property’s HOT (hotel occupancy taxes) for 30 years. How will that affect the local market for hotel construction? 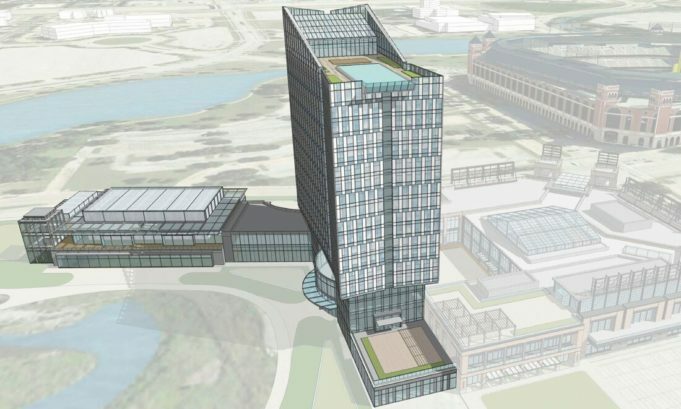 Will other developers be scared away because they can’t compete with the ABDEB’s hotel cost-wise? Is it possible that you could actually end up with less hotel capacity in the entertainment district in the long run? Will it hurt the existing hotels? Hopefully questions about the long-term future of Arlington’s hotel industry were asked. These same questions might also be asked about the effects of the other tax rebates involved in the deal. 11. 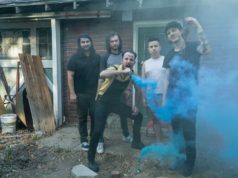 Will another live entertainment venue work? 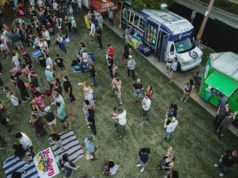 It would be good if the council looked at some analysis of how a market with College Park Center, the Levitt Pavilion, Verizon Theatre, the American Airlines Center, Fair Park Music Hall, Gexa Energy Pavilion, and more is underserved for venues and why a competitive opening exists for this part of the undertaking. Is a development the size of half a parking lot enough to make the entertainment district a hot destination? Yelverton alluded to potential further endeavors near the existing convention center. Has the council seen studies about how Texas Live! will drive others to invest in, say, the spots where the Siemens offices closed or the Pitt Grill went out of business? Will those developments require city grants as well or does the data indicate they will spring up on their own? If the data could show that a Flying Saucer is coming back to the area, I’d really like that. 13. If I gave you pudding, eggs, and flour, could you make a Boston cream pie? I spoke at council on three of the four related votes…I was in favor of opening up the gas drilling revenues “principal-not to be touched” amount to instead cut a deal with Dallas that consists of a $50 million loan for the emergency Lake Lewisville Dam reconstruction so Dallas doesn’t risk being 50 feet under water in exchange for the Rangers staying in Arlington. And on hot game days to use the ATT Stadium w/Jerry Jones’ blessings of course.